Have you ever wanted to vacation in a tropical destination, but your children wanted to go to a theme park? I think it happens to many parents – we want sand, surf, gourmet dining and relaxation…and the kids want action, adventure and excitement! Well, guess what? YOU CAN HAVE BOTH! 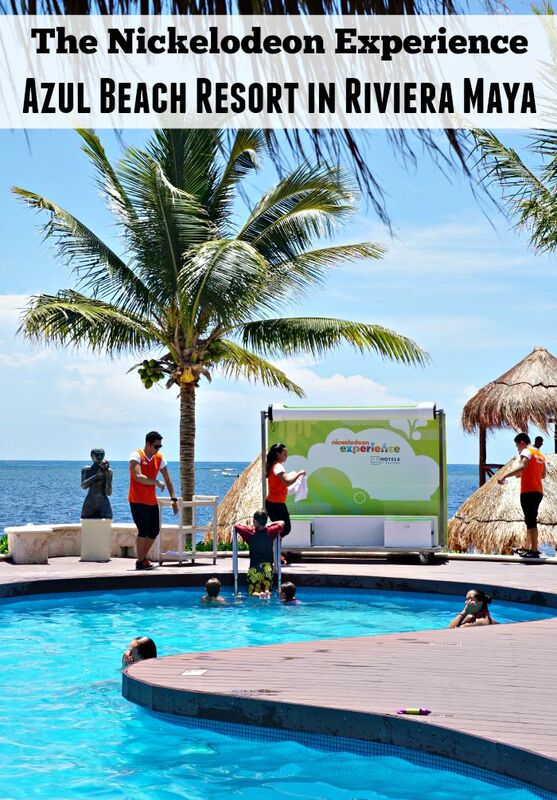 The all-inclusive Azul Beach Resort in Riviera Maya, Mexico (just a short drive from Cancun) offers everything a family could possibly want in a vacation destination with the Nickelodeon Experience! 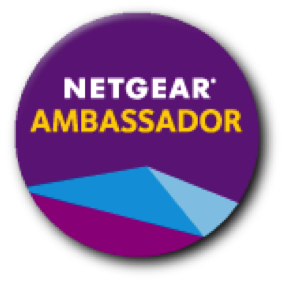 We’re talking a luxurious boutique hotel situated on the sandy beaches of Riviera Maya that combines an all-inclusive vacation package with an optional add-on of the Nickelodeon Experience. Who doesn’t love a little Nickelodeon? 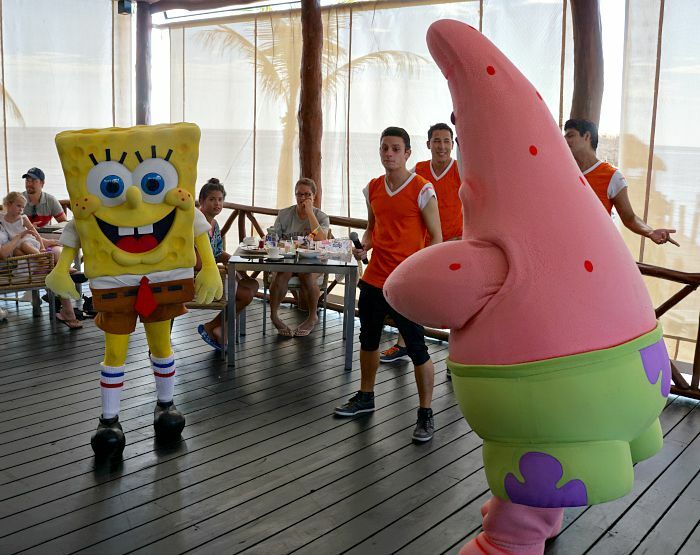 While the Azul Beach Resort is a luxurious boutique hotel, there are elements of the Nickelodeon Experience everywhere you look! Character Breakfast: You’ll meet popular characters like SpongeBob SquarePants, Patrick, the Teenage Mutant Ninja Turtles, Dora the Explorer – and Boots! Oh, and the food at the Nickelodeon Character Breakfast? Delicious and super fun, both for parents and the kids! 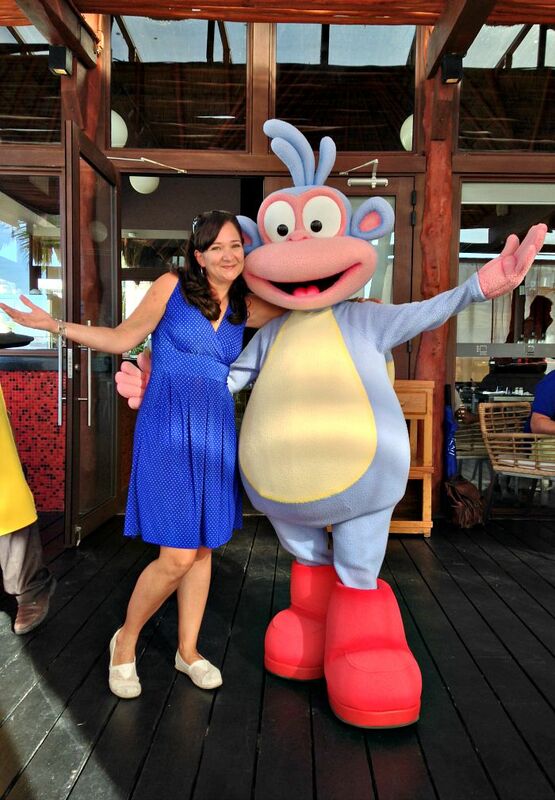 When you check in at the Azul Beach Resort, you’ll meet with your Nick Concierge to arrange any character breakfasts or special activities. With each character breakfast, your child will select a special Nickelodeon themed backpack; the options are Dora the Explorer, Spongebob Squarepants and the Teenage Mutant Ninja Turles. 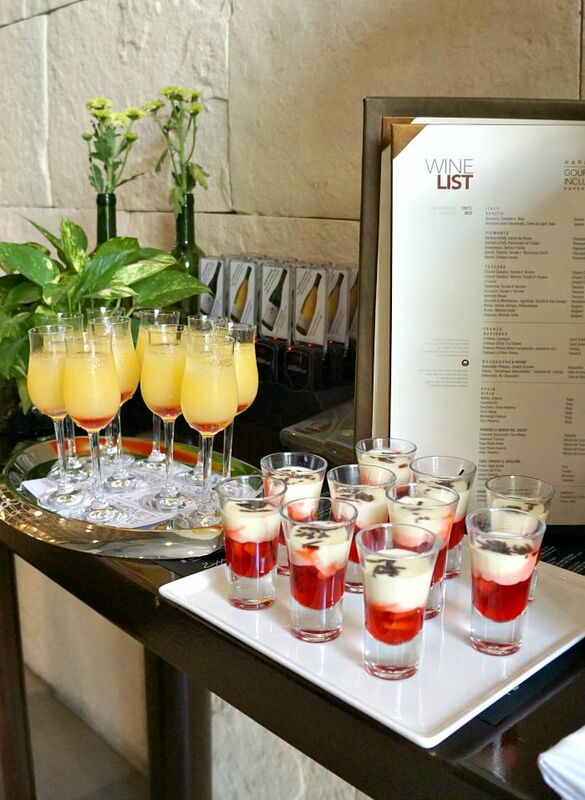 You’ll also select the breakfast option you’d prefer – there are lots of fun Nickelodeon-themed appetizers at your breakfast too! Aside from the character breakfasts, you’ll also have the opportunity to meet Nickelodeon characters and take photos throughout the week at various times (check with your concierge for timing) at several spots on the property. 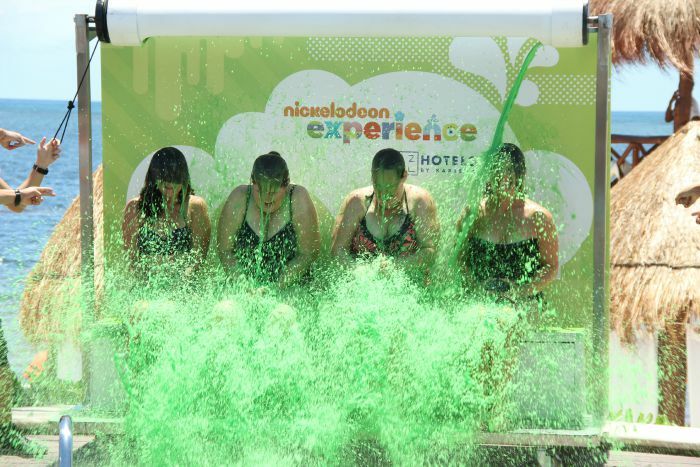 Get “Slimed” by Nickelodeon: Yes, that’s right – you can get SLIMED at the Azul Beach Resort! As a person who grew up watching You Can’t Do That on Television and Double Dare, I have always harbored a secret desire to be slimed – one that I never imagined would come to fruition! You can participate in one of the two weekly free sliming sessions at the pool as part of the Nick Experience, or arrange for a private sliming for a nomial fee. Check with the Nick Concierge upon arrival to find out when the sliming sessions are! Azulitos Playhouse by Nickelodeon: Every great family-friendly resort needs a children’s program, and Azul Beach Resort has a fantastic one! The Azulitos Playhouse by Nickelodeon is of course Nickelodeon-themed, and provides a fun place for children to come and burn off their energy while participating in games, arts and crafts and watching the shows put on by the Nick Experience staff! Azulitos Playhouse is open to children four to twelve years old and is open every day from 9:00 am to 5:00 pm and from 7:30 pm – 9:30 pm. 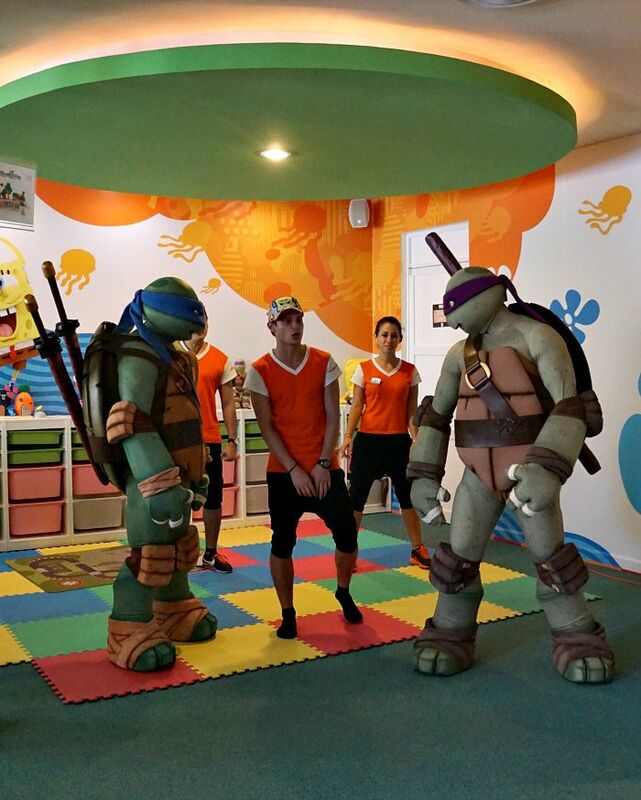 Orange Carpet Experience: Once a week, the Azul Beach Resort hosts an Orange Carpet Experience, where the Nickelodeon characters walk the “Orange Carpet” and pose for photos with guests. After the entrance is made, it’s party time! 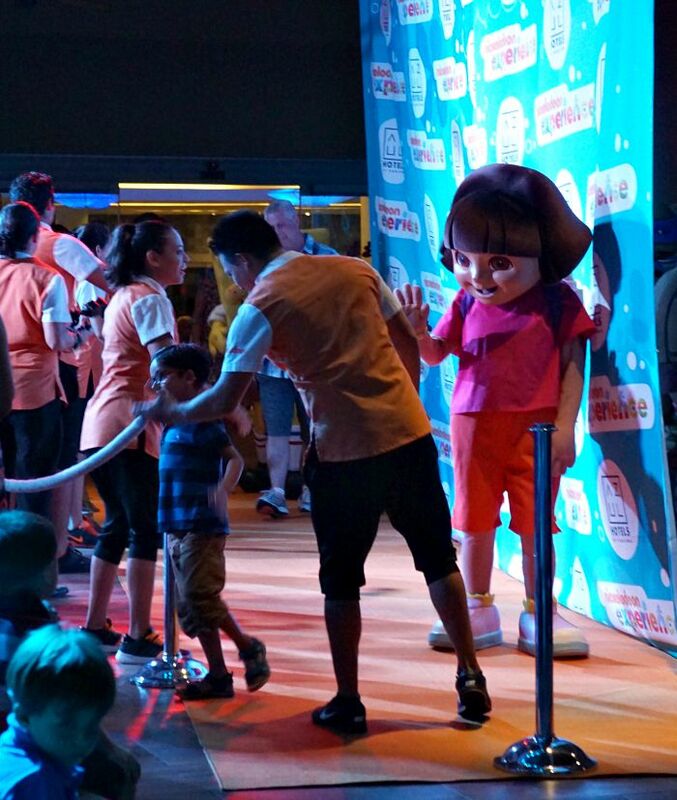 These children were SO excited to see the Nickelodeon characters walk the Orange Carpet and shake their hands, it was so much fun to watch them have a blast! 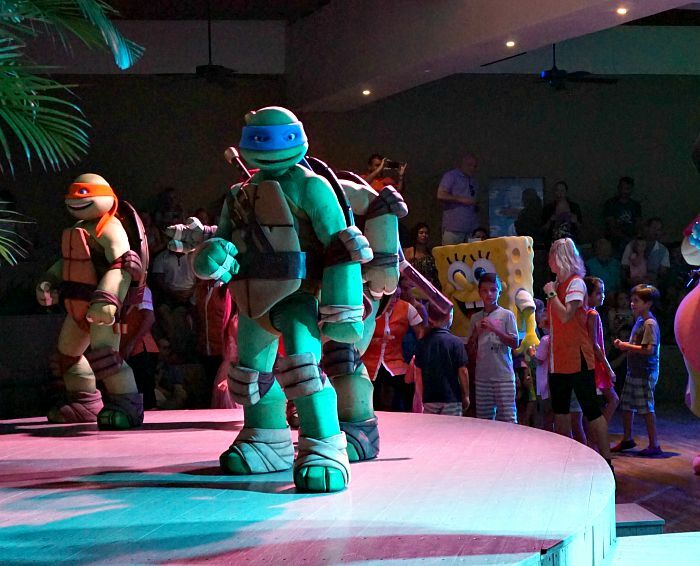 Of course, there’s much more to the Azul Beach Resort than the Nickelodeon Experience! When most people think “All Inclusive Resort,” they think unlimited alcohol and substandard buffets for every meal…that is definitely NOT the case at Azul Beach Resort by Karisma Hotels! 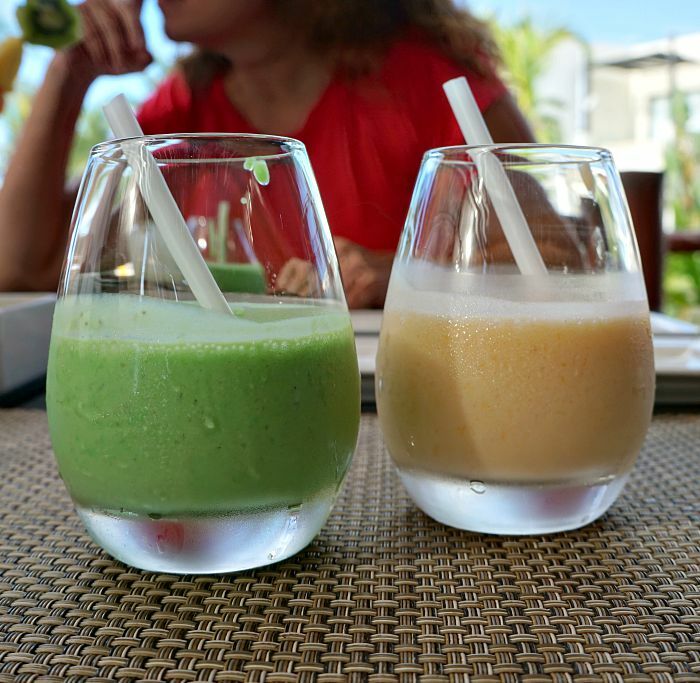 I enjoyed several breakfast, lunch and dinners while at the Azul Beach Resort, and was pleasantly surprised to find that every meal was insanely delicious! 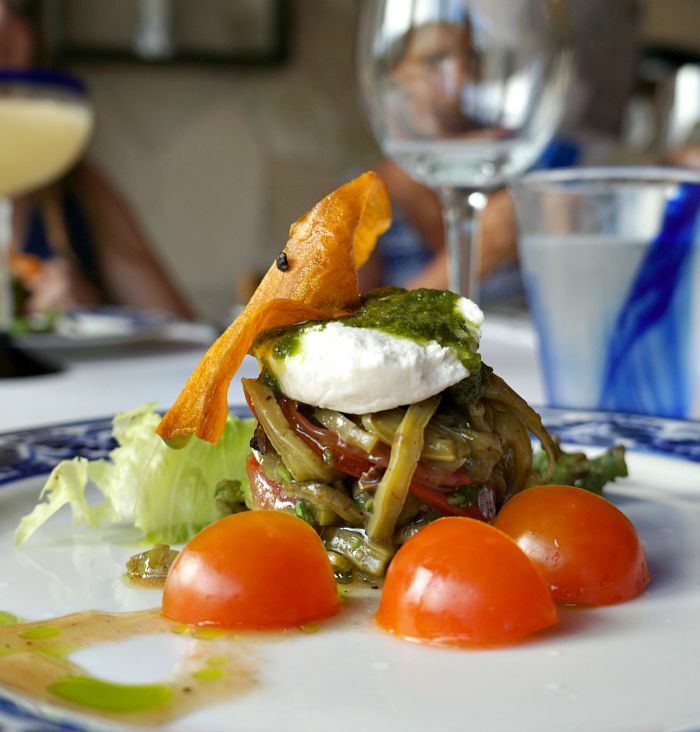 Karisma Hotels offers the “Gourmet Inclusive” dining experience, and the food offered at their five restaurants really is gourmet. I consider myself something of a foodie, and I was very impressed! 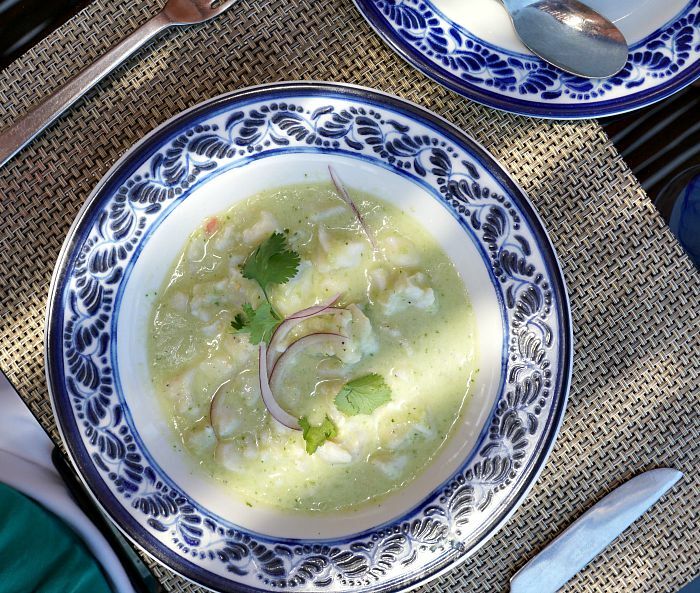 I enjoyed a Mahi Mahi Ceviche at the CHIL Restaurant for lunch one day – it was such a relief to find that they offered a ceviche made without shellfish, as I suffer from shellfish allergies. 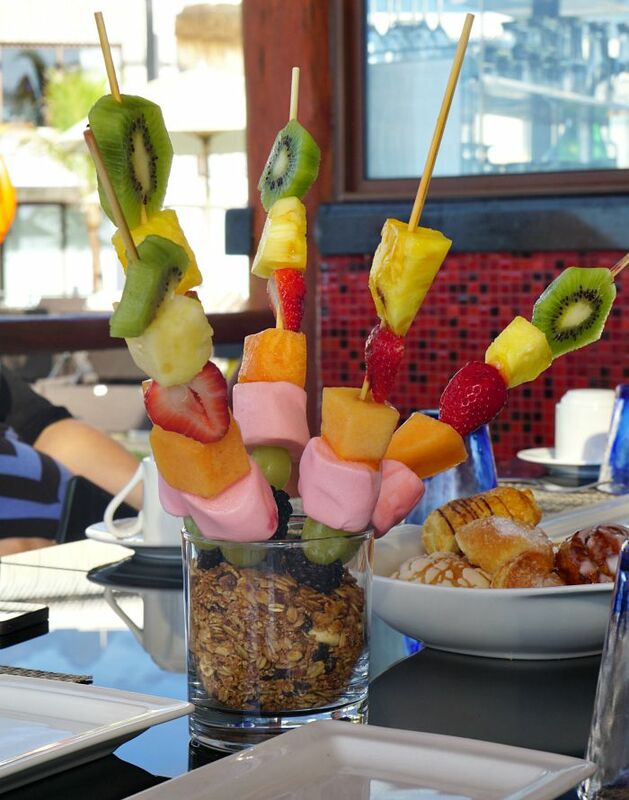 If you suffer from any type of food allergy, you’ll be happy to know that at every restaurant I visited at Azul Beach Resort, I was asked if I had any allergies, and they noted it with the waitstaff. The five restaurants are: CHIL restaurant (casual Caribbean dining), BLUE World Cuisine, LATINO (Latin fusion), TAINAN (Asian-inspired cuisine), and ROMA (Italian food, of course!). One of the things I most loved about the menus at Azul Beach Resort is that they had so many delicious signature cocktails – but also offered non-alcoholic “mocktails” as well, which were SO tasty! 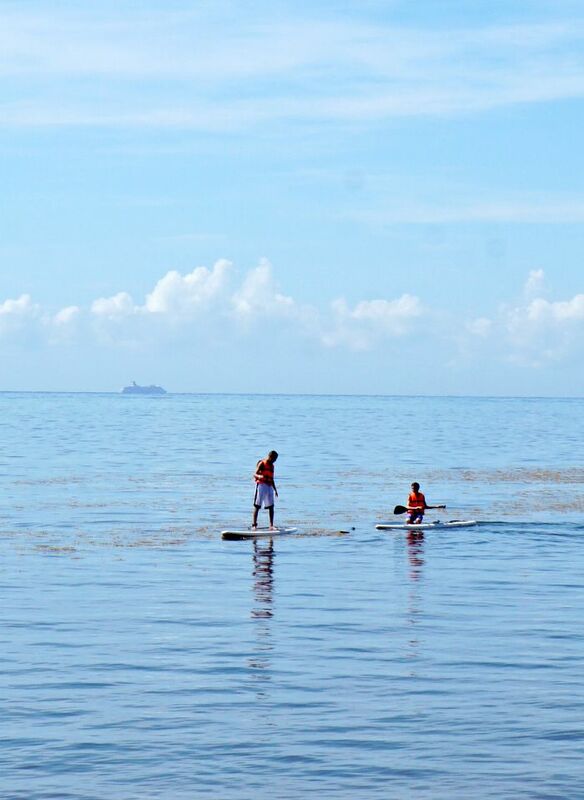 It’s not all about playtime with Nickelodeon and food at Azul Beach Resort…it IS a beach resort, after all! 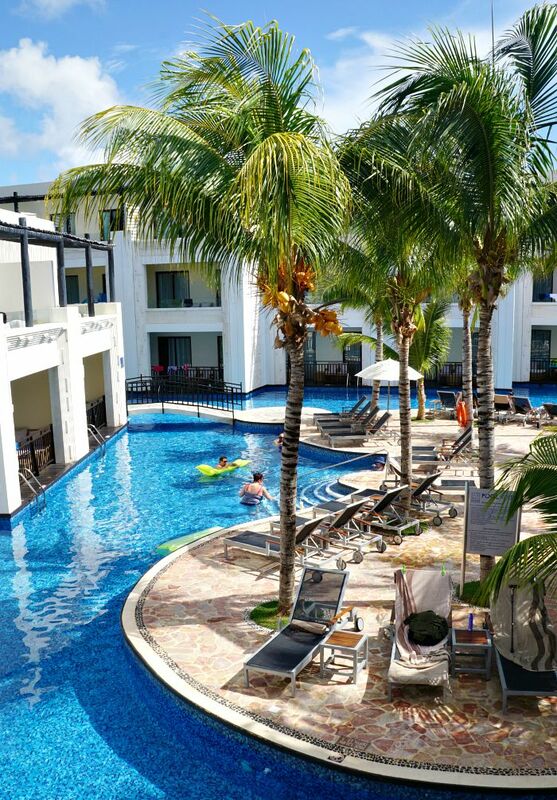 Azul Beach Resort by Karisma Hotels offers 148 rooms in family-friendly suites, with built-in daybeds, a daily stocked minibar, Jacuzzi® tubs and family essentials such as Gerber baby food, strollers, bottle warmers and baby monitors. Every room features air conditioning, king- or queen-sized beds, satellite TV, rainfall showers, hair dryer, safe deposit box, coffee maker, iPod docking station, DVD player, direct dial telephone, WiFi and a balcony or veranda. Some rooms, dubbed Jacuzzi® Swim-up Suites, offer suites connected to the pool for incredibly easy pool access! 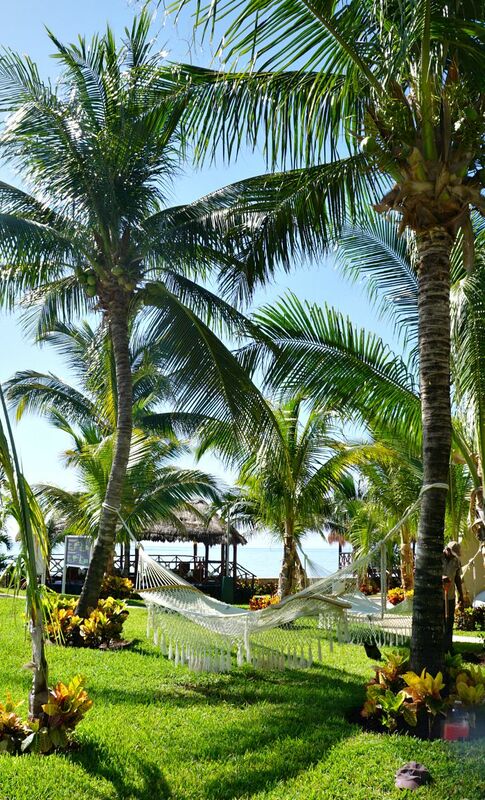 Aside from relaxing on your balcony or in the pool, there are many other ways to enjoy your stay at Azul Beach Resort! Are you looking for a little romance while in Mexico? 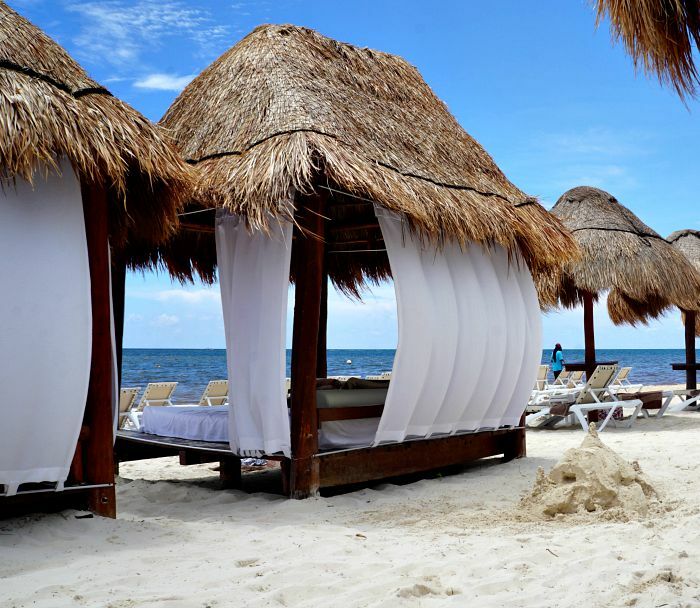 The cabanas on the beach are free to rent for the day – you just have to make a reservation the prior day. You can find out more about the Azul Beach Resort by Karisma Hotels here. 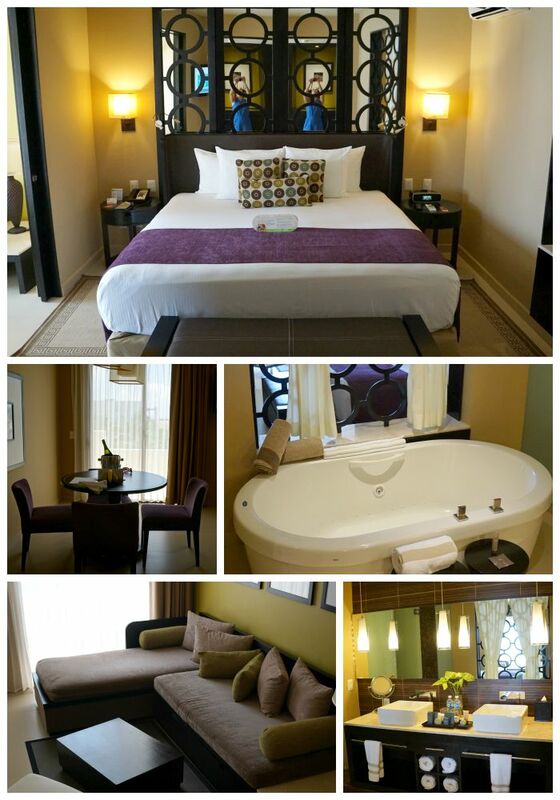 Have you ever stayed at a Karisma Hotels property? 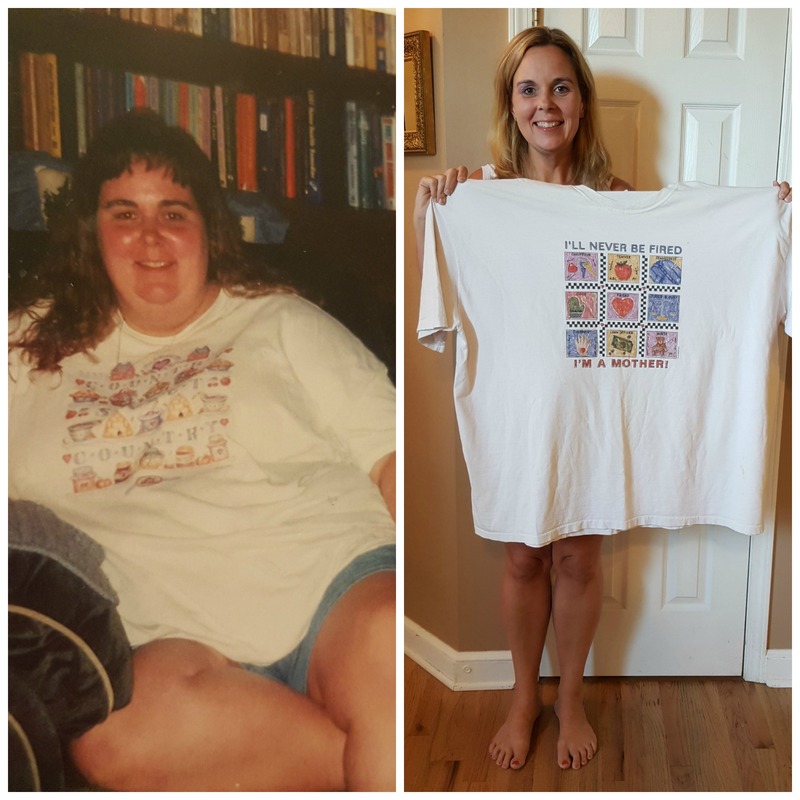 I’d love to hear your story! Jennifer is a Miami Lifestyle blogger and blogs at TheRebelChick.com. 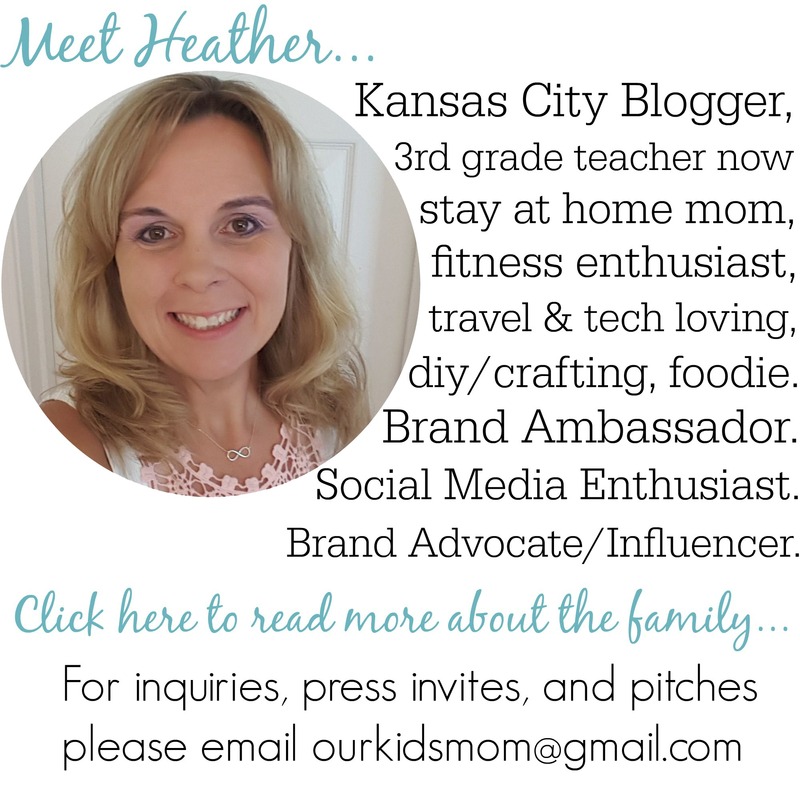 Be sure to check out all posts by Jennifer and subscribe via RSS or EMAIL so you don't miss a thing! Fantastic looking place. Lots to do for parents and kids. This looks like the perfect vacation! I want to go! This looks like this was alot of fun! Have to tell my hubby about it! It seems very fun for family getaway there! The kids sure will love it very much! What a relaxing holidays you had! Thanks for sharing this wonderful place! Hi there! I am trying to make a reservation to the new Nickelodeon hotel in Mexico but I can’t seem to find a website. Are they not taking reservations yet because they are not open? Thanks!